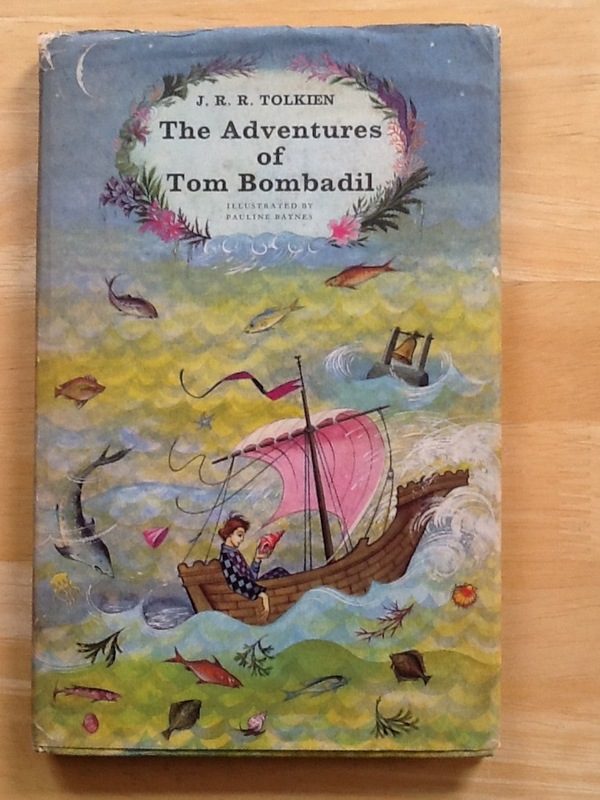 This is the 1st impression of the 1st edition of The Adventures of Tom Bombadil, published in 1962 by George Allen & Unwin. No previous owners names or writing - just a little pencil number to the front fly page, that can easily be removed. 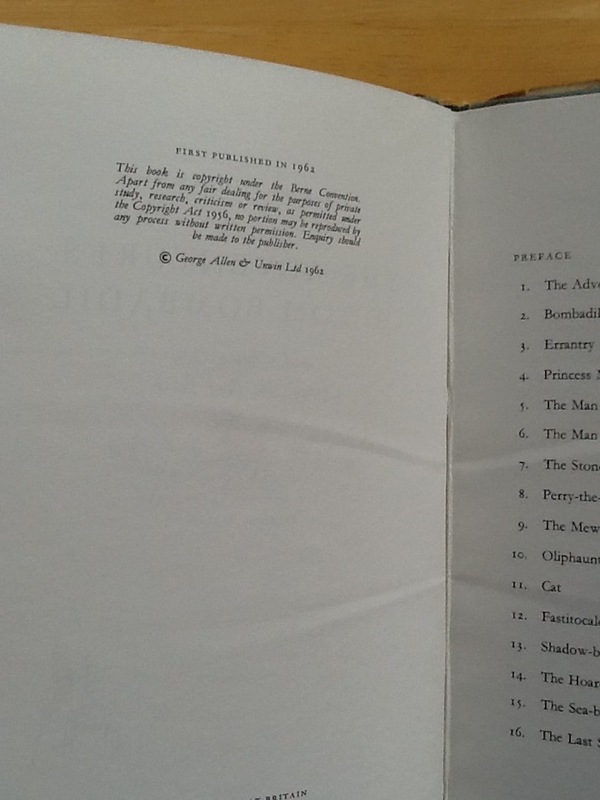 No foxing, pages clean and bright. 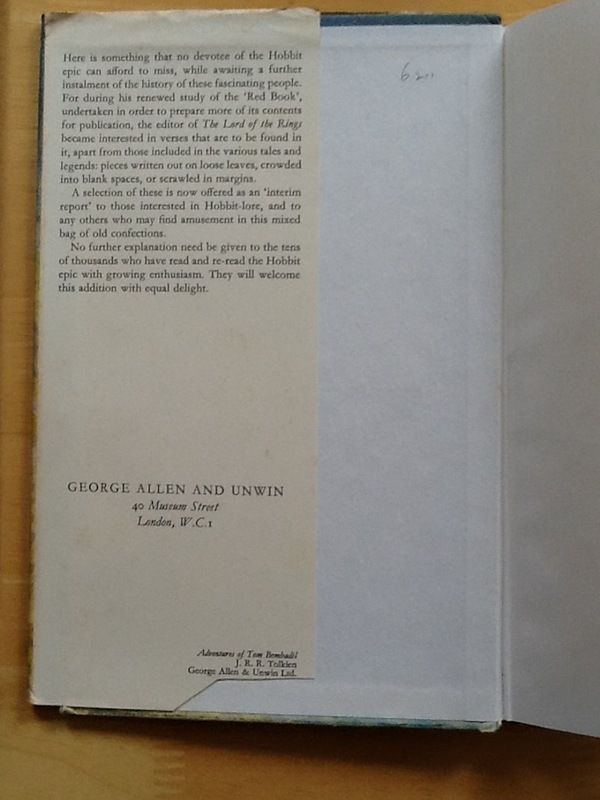 Pictorial Cover and matching priceclipped dustjacket, are in fine condition, with the usual rubbing to the folds. There is some loss of color to the top & bottom of the book's spine, some minor compression to the bottom of the spine. 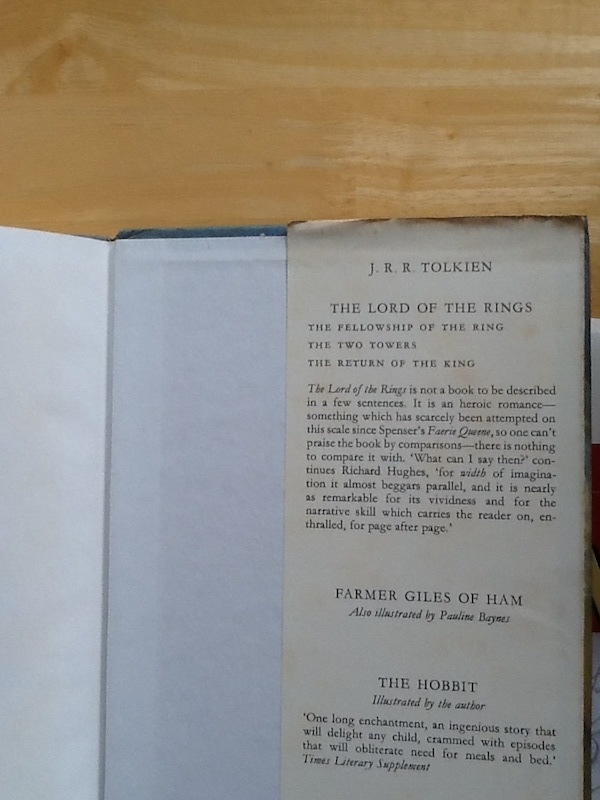 No bumps to the corners, only minimal color loss to the dustjacket, mainly at the top of the spine, where there is a small closed tear, and at the fold tips. Nice clean bright colors to the Pauline Baynes illustrations. 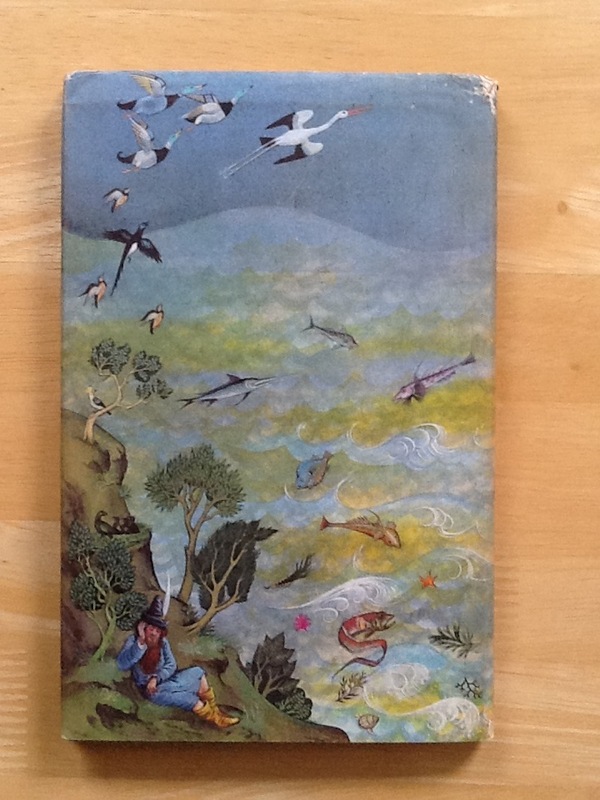 A very beautiful copy for the collector, getting hard to find in this collectible condition.